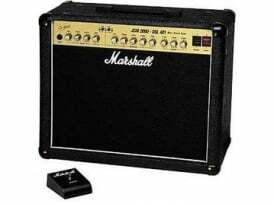 From day one, Marshall tube amps have been synonymous with great overdrive from all walks of rock in roll. From Bluesbreaker to Ballbreaker, they’ve done it all. Marshall is set about conquering the sacred kingdom of clean tone — the underdrive. 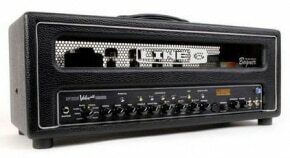 Entering three all-tube combos: 20-watt; 1×12 DSL201, 40-watt; 1×12 DSL401 and the 100-watt; 2×12 TSL122. During a rave review in November, 1998 issue of GuitarPlayer: “…the TSL122’s pristine, complex clean sounds and cranium crushing distortions will surprise and delight.” The DSL201 and DSL401 are carved from the exact same piece of tone rock. So whether you overdrive or under-drive the Marshall DSL / TSL series, the results are truly awesome. 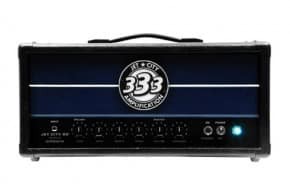 With totally independent, footswitchable channels, reverb, a parallel FX loop, the critically acclaimed Speaker Emulation output and custom voiced Celestion speakers, the DSL / TSL combos are as versatile as they are toneful. For added flexibility, the DSL401 has a third footswitchable sound, OD2, and yes, a LED footswitch is supplied with all three amps. 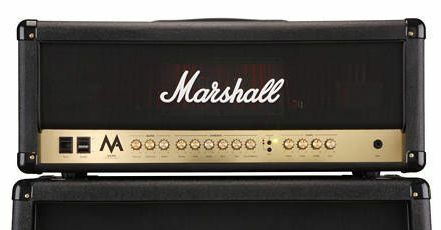 Sure, the Marshall combo amps have tones of overdrive that goes right off the richter scale. But they also have a clean sound that just might be the best you’ve ever heard. Don’t take our word for it, go try one out and hear for yourself!